He had been conscious about that since ABIT’s establishment and coined the slogan “Evolve every 5 years!” In fact, ABIT starts a new business every 5 years. 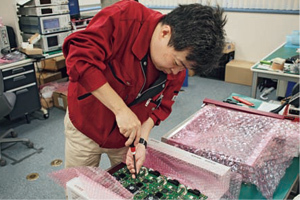 They developed PHS as “Japanese government-led　technology” in 1990, and from 1995, they started developing communication experimental equipment. 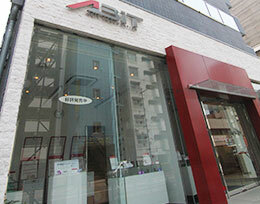 ABIT’s “Air Protocol Analyzer”, that captures and analyses the signal between a mobile phone base station and mobile phones, became global standard equipment. In over 18 countries with over 60 clients using the equipment regularly, this analyzer keeps evolving to match the 4th-generation telecommunication. From 2000 ABIT launched self-development of semiconductors. They succeeded in an accumulation of their cultivated PHS technologies on a chip and a large portion of semiconductors used in Willcom mobile devices are made by ABIT. 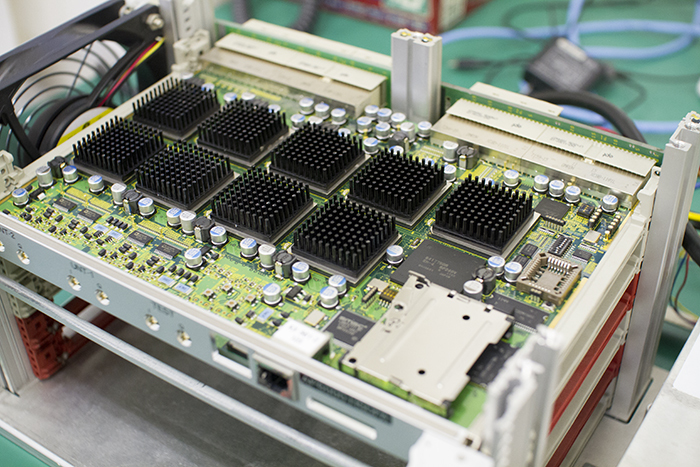 From 2005, they started development of module parts including semiconductors. From 2010 ABIT started development of PHS in their original design, they made a framework to cover all the process of design, drawing up a plan, manufacturing it to aftercare. They produced a unique product which came from uncommon creativity. 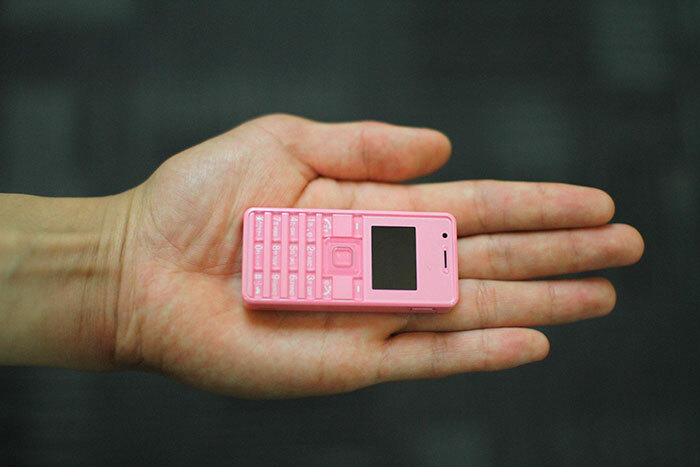 A frisk -case sized “Strap Phone”, or designed as a landline phone, but PHS “Iedenwa” to name a few. Do you know that the PHS (Personal Handy-phone System) is developed as “Japanese government-led technology” with national pride at stake? PHS lost the battle to win a standard position as an ordinary means of communication. Compared with mobile phones, the calling area of a PHS from the base station is narrower, the quality of call is worse. However, in terms of cost, of ease, of use, and low energy consumption PHS is much superior to mobile phones, it is still widely used as the extension line in hospitals or companies, as the remote management communication tool for vending machines, as a surveillance system or as an emergency communication tool. PHS is in relatively widespread use in Asian countries as a reasonable communication tool because the base station construction cost is around 200 thousand yen compared to 100 million yen for mobile phones. The development of PHS was based on the work group started under the sponsorship of MPT (Ministry of Posts and Telecommunication, now known as the Ministry of Internal Affairs and Communications) early in 1990s. Engineers from distinguished large scale manufacturers MPT selected were on the list of the work group to realize the “Japanese government-led technology”. A young engineer in his early thirties among them seemed odd, his name was Takeo Hiyama, President of a start-up company called ABIT Corporation in Hachioji city, Tokyo, which was established only a few years before. PHS started commercial services in 1995. The venture that overwhelmed big corporations developed the key devices for PHS, it was the moment when the technology of ABIT became “Japanese government-led- technology”. They soon seized a major chance. It was mission-critical systems development for Japan Telecom Co., Ltd (now known as SOFTBANK TELECOM Corp.) that was established by Japan National Railways (now known as East Japan Railways Company) in 1984 to go into the communications business focusing on “Communication Big Bang”. Fortunately, ABIT had an opportunity to engage in the development project. This project was enormous for a start-up venture and was a big challenge so soon after its establishment, but he took the chance. This was a huge opportunity to get into a preponderant position in the communications business if he achieved a great success in this project. Members of ABIT then declared “We will complete this work in half a year” although it would normally take 2 years. They set the bar high for their sake. The odds were in their favor because Mr. Hiyama, at that time, had a state-of-the-art control technology of telephone switchboard which he learned when he was in the U.S. that was naturally little known in Japan at that time. They delivered the system in half a year as they declared, working round-the-clock during that period, and after much difficulty. The system became operational without any problems and the name of ABIT, a small technical group, had boomed around the field of communications. As Mr. Hiyama had aimed, this success led them to a series of development projects for big corporations such as NTT or KDD (Kokusai Denshin Denwa Co., Ltd., now known as KDDI Corporation). Also, this led them to be placed on the list of the work group of PHS development. Mr. Hiyama says, “A company must evolve every 5 years”, the speed of change in the communications business is incomparably fast. Don’t cling to success or you will be shaken out and become a cliche. To avoid this, he keeps on making the next move. He had been conscious about that since ABIT’s establishment and　coined the slogan “Evolve every 5 years!” In fact, ABIT starts a new business every 5 years. They developed PHS as “Japanese government-led　technology” in 1990, and from 1995, they started developing communication experimental equipment. ABIT’s “Air Protocol Analyzer”, that captures and analyses the signal between a mobile phone base station and mobile phones, became global standard equipment. In over 18 countries with over 60 clients using the equipment regularly, this analyzer keeps evolving to match the 4th-generation telecommunication. From 2000 ABIT launched　self-development of semiconductors. 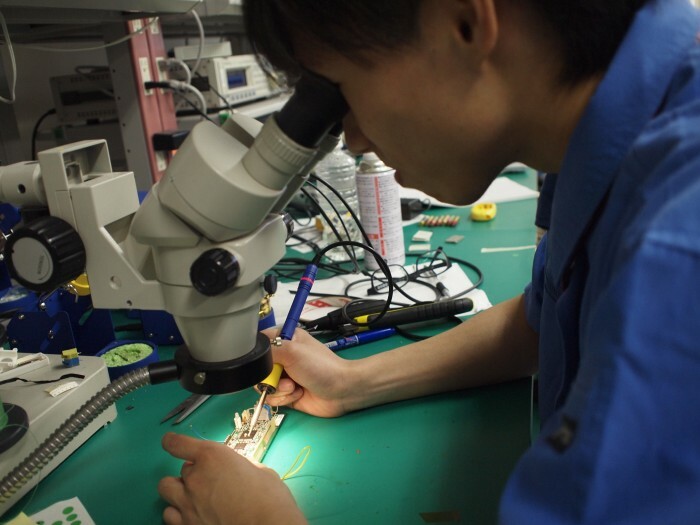 They succeeded in an accumulation of their cultivated PHS technologies on a chip and a large portion of semiconductors used in Willcom mobile devices are made by ABIT. 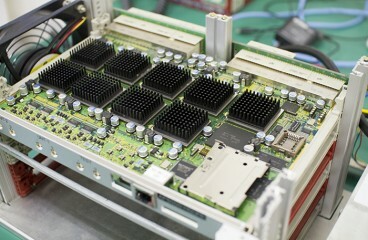 From 2005, they started development of module parts including semiconductors. From 2010 ABIT started development of PHS in their original design, they made a framework to cover all the process of design, drawing up a plan, manufacturing it to aftercare. They produced a unique product which came from uncommon creativity. A frisk -case sized “Strap Phone”, or designed as a landline phone, but PHS “Iedenwa” to name a few. They chose to be a discreet ‘Stealth Corporation’ but now, in contrast, they quitted such a stance and are progressing ABIT branding as they sell their original PHS phones. They moved their company premises to the middle of the city and built their showroom to boldly display their products. Mr. Hiyama says, “We can’t change the whole world like Steve Jobs, but we are now approaching the stage where we can change the world around us”. Design the future Mr. Hiyama is now 55 years old. He continues to do what he wants as he did when he was a boy. To push an idea, he will go on a business trip overseas and visit 4 countries in 3 days, creating an image of the future communications and considering ABIT’s next 5-year strategy. Want to know how our life will be in the future? You can find the answers in ABIT showroom because the future is designed there.